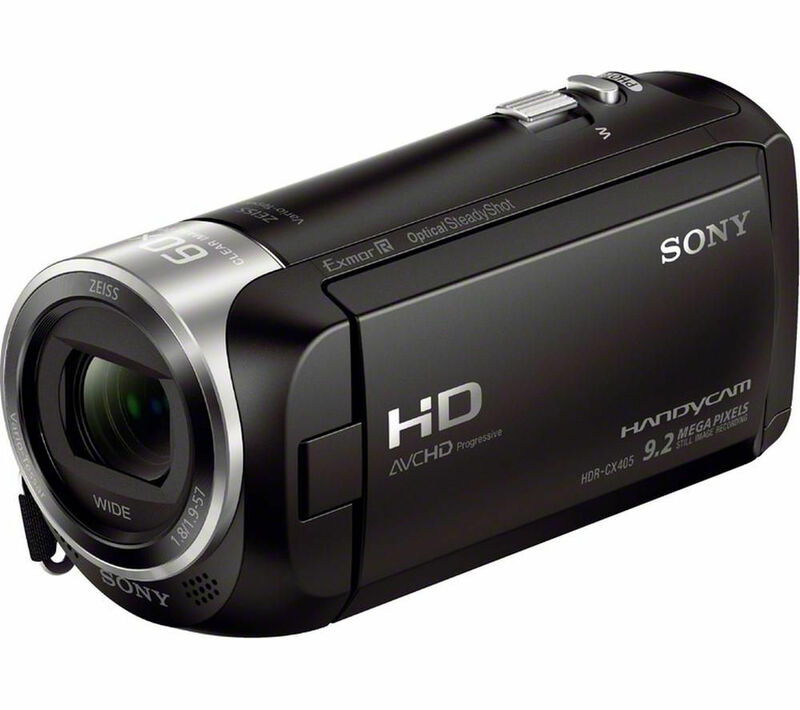 At the heart of the Sony Handycam HDR-CX405 Camcorder is an Exmor R CMOS sensor combined with a BIONZ X processor to deliver bright, precise, clear detail even in low light conditions. The advanced processing engine helps to reduce noise levels and offers naturally vivid and lifelike image quality. Shaky, blurred footage is a thing of the past with Sony's Optical SteadyShot stabilisation system, ideal when filming moving subjects or shooting handheld. Advanced image stabilisation technology compensates for camera shake up to 13 times more than standard mode. At the heart of the Sony Handycam HDR-CX405 Camcorder is an Exmor R CMOS sensor combined with a BIONZ X processor to deliver bright, precise, clear detail even in low light conditions. The advanced processing engine helps to reduce noise levels and offers naturally vivid and lifelike image quality. Shaky, blurred footage is a thing of the past with Sony's Optical SteadyShot stabilisation system, ideal when filming moving subjects or shooting handheld. Advanced image stabilisation technology compensates for camera shake up to 13 times more than standard mode. The HDR-CX405 features a Carl Zeiss Vario Tessar Lens which combines high quality optics with premium electronics and sensor technology. The 26.8 mm wide-angle lens offers expansive zoom coverage for more creative freedom when shooting, from cramped indoor scenes to vast open spaces. Bring the scene closer with a powerful 30 x optical zoom which allows you to zoom without compromising on image quality. Take your filmmaking to the next level with the high-bitrate XAVC S format, developed from the XAVC format used by professional filmmakers and broadcasters but in a smaller file size. Delivering incredible quality, XAVC S lets you record scenes with remarkable dynamic detail. Get the best results every time with Intelligent Auto which automatically detects the type of scene being shot and optimises a combination of settings for the best results. It offers great quality shooting optimising your footage with up to 180 different scene types, including night and backlit scenes. Not just optimised for video, the HDRCX405B.CEH offers great quality 9.2 megapixel still images, allowing you to shoot just as easily as with a still image camera. There's no need to wait till you get home to start editing your footage, Highlight Movie Maker lets you quickly and easily edit your videos without a computer. Offering time-saving features such as adding highlight markers to key moments and syncing footage to music, the Highlight Movie Maker is a versatile tool for streamlining your movie editing.